Condo Law for Albertans is a project of the Legal Resource Centre of Alberta Ltd. (operating as the Centre for Public Legal Education Alberta “CPLEA”), a non-profit organization whose mission is to help people understand the law as it affects their everyday lives. We develop plain language online tools, publications, and presentations to help people recognize and respond to their legal rights and responsibilities. 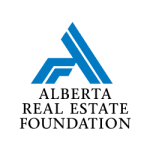 Funding for the Condo Law for Albertans project is generally provided by the Alberta Real Estate Foundation.